Your Satisfaction is our best advertisement. Alpine Lawn Care - Your satisfaction is our greatest advertisment. 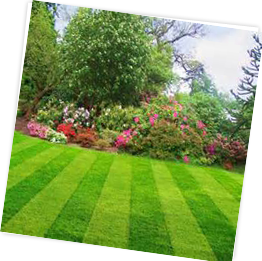 Alpine Lawn Care LLC is a family run company started in 1989 by Tony Cobuzio in the Haddonfield, and Cherry Hill NJ area. Spring Clean Ups and Fertilizer starts now. Best to get treatment down. Summer - May through Aug.
Fall - Sept. through Nov. Leaf Clean Ups and Fall Fertilizer starts now. Time to thatch and aerate. Winter - Dec. to Feb.
Commercial plowing shoveling and salting your sidewalks and drive ways. just a cut and dry industry. Our Lawn Care team has 25 years combined experience building relationships with our loyal commercial and residential clients. Residential Properties Alpine Lawn Care provides weekly standard cuts and can schedule mulching and sculpting accordingly. Commercial Properties Alpine Lawn Care takes great pride in providing superior property service to the Cherry Hill and Haddonfield areas of NJ. We look forward to hearing from you for your free consultation on our line of property solutions and scheduling. Copyright © 2013. All rights reserved. Alpine Lawn Care - Since 1989.